Coca-Cola teams with NASCAR to get you off the couch and into the pit. Thanks to a new partnership between NASCAR and Coca-Cola, racecar fans will soon be able to place a 3D AR Coca-Cola can in their real-world environment and use it to open up a portal that will transport them back in time to historic racing moments, including team celebrations in Victory Lane, racecar burnouts from champion drivers, and other thrilling moments. The AR experience can be launched using NASCAR’s mobile app and will be available for all 10 weeks of the 2018 Monster Energy NASCAR Cup Series Playoff as part of the organizations attempt to expand past traditional TV broadcasting. To encourage you to use the app each and every week, NASCAR and Coca-Cola have committed to adding new 360-content following each NASCAR Playoff race, leading up to the big 2018 Monster Energy NASCAR Cup Series Championship at Homestead-Miami Speedway in November. 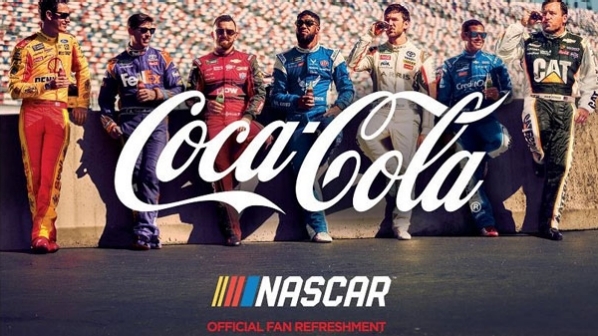 For NASCAR, this partnership with Coca-Cola would provide them with cutting-edge technology that delivers something more than a mere visual experience. Instead, they offer an interactive experience that racing fans watching from home can truly appreciate. With the racecar fan base slowly dwindling due to a lack of interest by younger sports fans, NASCAR is looking at modern technology, such as AR and VR, as a possible solution. For Coca-Cola, it’s an opportunity to engage with a ferociously loyal fanbase. As AR and VR technology continues to evolve, so has the approach of how the sports industry utilizes the technology. Virtually every major sports industry has in some capacity turned to VR or AR to deliver fans something more than a traditional viewing experience. Fans want to be able to sit in the front row, access additional stats on players at any time; VR and AR not only allow that, but also have the ability to direct and personalize your sports watching experience. The NCAA allowed fans to sit court-side through VR during March Madness, the NBA has teamed up with TNT to create a sport viewing experience where you could interact with the game, and engage in recaps, highlights, and stats, and, just recently, MLB conducted their first-ever ‘Home Run Derby VR Little League Challenge’. Sports broadcasters have also turned to AR to tell a better story, using cutting-edge AR visuals to provide fans with more engaging sports updates. For example, look at how broadcasters used AR to help viewers at home have a better understanding of the Tour de France. But what about the athletes themselves? How are they using AR and VR? More and more athletes are turning to immersive training as way to sharpen their decision-making as well as build muscle memory; improvements they can then take to the field, court or ice, or track. One of the leading companies in AR/VR sports training, STRIVR, have worked with the U.S. Olympic Ski Team, PGA Golfers, and other various sports teams on various projects in the past. Their most recent client, The Washington Capitals, won the 2018 NHL Stanley Cup. Is it coincidence that the team who won the championship also trained in VR? Maybe, or maybe not. The NFL even turned to VR to assist with employee training in areas such as workspace diversity, sexism, and racism, putting employees and even athletes in someone else’s shoes so they can see what it’s like to be on the opposite end of a problematic situation. AR and VR are transforming the sports industry, and surely NASCAR’s partnership with Coca-Cola to use AR is just the beginning. This past year, Coca-Cola announced that they will be using AR to take consumers “beyond the real thing”, during the Adobe Symposium in Singapore back in August. The new tagline, which is a play off of Coke’s more iconic tagline, “It’s the real thing,” will reflect the evolution and direction of Coca-Cola’s marketing moving forward. Up next for Coca-Cola, who by the way have been playing around with AR since 2014, will be the upcoming 2020 Olympics in Tokyo, where Coke is a big sponsor. You can bet that AR and VR will play an incredibly large role in how fans at home will not just watch and participate with the various games.